Chef Austin Sumrall is Chef/Owner of White Pillars in Biloxi, Mississippi. He is extremely passionate about everything farm-to-table, local & seasonal ingredients. Gulf seafood is an utmost importance due to his restaurant being ON the Gulf. When interviewed, Chef Sumrall openly advocates for the importance of wild-caught seafood and how the freshness improves the flavor of the entire dish. He visits local shrimpers daily to acquire the freshest shrimp for his restaurant and his home. He is an active supporter of wild-caught seafood and the American shrimp industry on social media and has been featured several times as a Wild American Chef Advocate for a variety of appearances. Among his many accolades, Sumrall’s resume includes classical training at the Culinary Institute of America in Hyde Park, New York and working for three different James Beard award winners with the title of “Best Chef: South”. Sumrall was recently featured in the Cooking Channel’s “Southern and Hungry” where he promoted wild and locally caught seafood and has made many appearances in Gulf Coast news outlet stories promoting farm to table, local, and seasonal practices with Coastal cuisine and seafood at the forefront. Chef Sumrall is involved in a variety of philanthropies throughout the Gulf Coast along with being a founding member of the Gulf Coast Culinary Society which raises money for local charities such as “Feed the Gulf Coast.” He is also actively involved in his local Chamber of Commerce. A huge advocate for everything locally sourced, Chef Sumrall and his wife have a booth at the local farmers market every Saturday where they serve shrimp corn dogs that each come with an explanation of the importance of Wild American Shrimp. 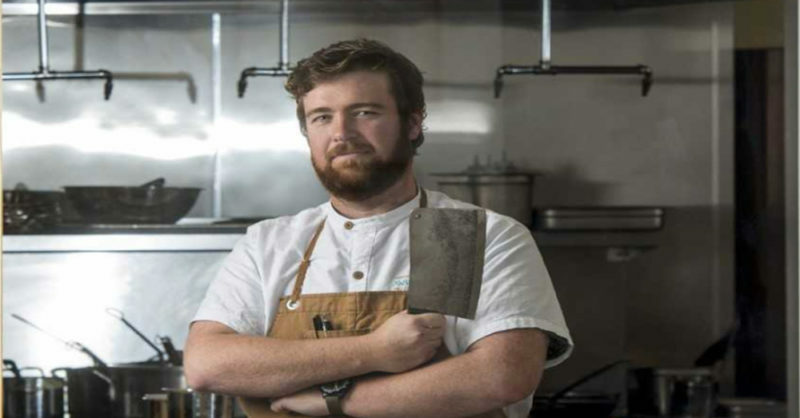 Chef Sumrall utilizes Wild American Shrimp and locally sourced, sustainable ingredients in his restaurant and at home and is what makes him a Chef of the Year 2018 Finalist. Learn more about Chef Austin Sumrall here and check out his great recipe here!